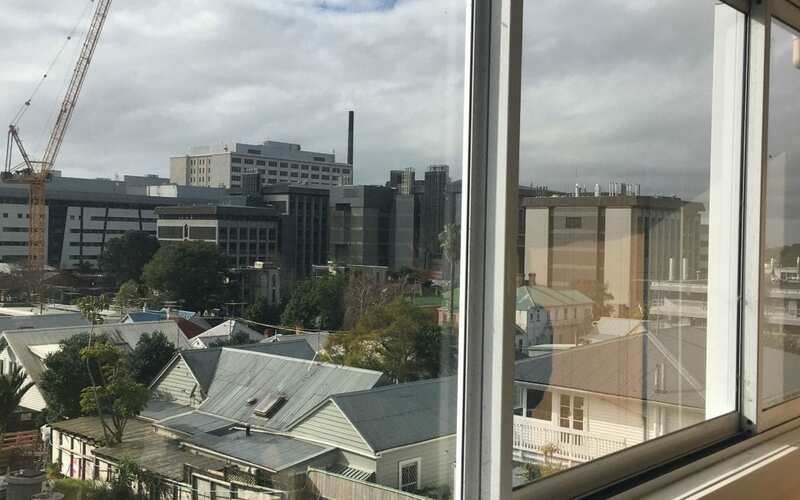 As I wait for my flight back to Christchurch (which as someone very,very conscious of time means arriving 3 hours early), I think I’ll write about the amazing opportunities out there in the FMHS (Faculty of Medical and Health Sciences). 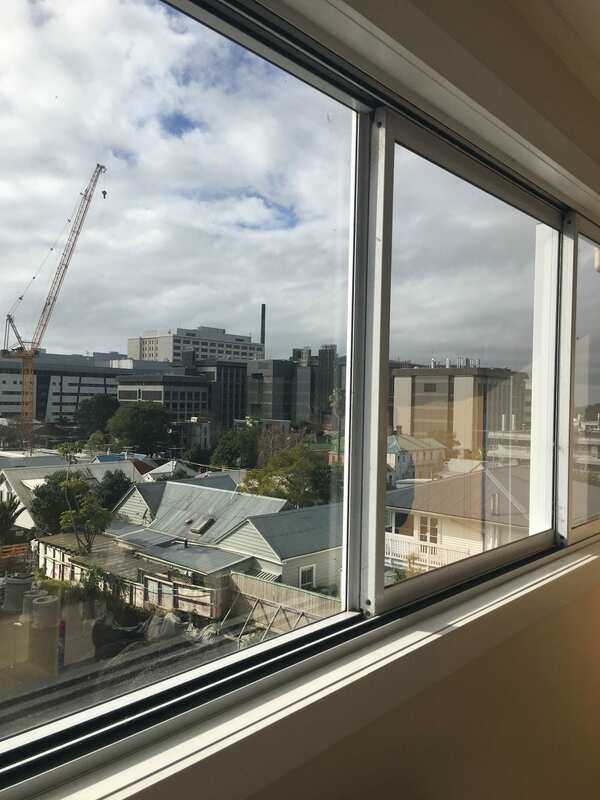 Here’s a gorgeous view from grafton student flats (which are pretty cool, and very close to the Grafton campus – around 5 minutes walk) of the Grafton campus (where the FMHS is based at) and is opposite Auckland City Hospital. As a health science student aiming for med, there is a harsh reality that not everyone will make it in (even for Law, around 40% of the cohort got cut after 1st semester). Even though it’s always been a dream for me to become a doctor, it’s a cruel realisation that not everyone will make it into the medicine programme this year. However there are heaps of other opportunities out there! Currently, I’m contemplating doing a bachelor of science, majoring in physiology. I think one of the most important things to do before coming to uni, is to think of a plan B in case things don’t work out. What if the degree is not right for you? What if you don’t enjoy what you’re doing? You’ve got 2 weeks to change your courses before you have to pay (although since you’re first year, that probably won’t happen since it’s well…free), but I highly recommend having an alternate plan and being open to do other things. The first two weeks of the semester (no matter if it’s sem1 or sem2) is crucial, because it gives you a good idea about what you’ll learn from the papers, and what kind of workload you’ll have (A good idea could be to sit into lectures you might be interested in, ’cause who knows? Maybe you’ve just discovered you’re dream paper?). So as I spend the break trying to figure out what I want to do next year, I thought I might write about some other great options in the FMHS. These are also cool career pathways which can lead to amazing careers and if med is still the goal, serve as great graduate pathways. One of the great things about the University of Auckland is the vast array of degrees there are. They offer many degrees in the health sector, such as optom and medical imaging (which are only offered at Uoa). The Anatomy and Physiology department ( based in Grafton) is also ranked 18th in the world! When you take Population Health 101 (which is a pretty chill and interesting paper may I add, and part of FYHS) you have a much greater idea of what being a nurse is about. The FMHS offers nursing, which is a 3 year degree. From Pop101 I’ve learned that nursing has a lot to do with the care for a patient both in a clinical and non-clinical setting. Nurses are particularly important in the health sector, and in my opinion, are just as vital as doctors It also serves as a great pathway, if you ultimately decide to pursue for medicine and also serves as a great conjoint with another degree. A lot of people this year, if they’re not considering Medicine are thinking about doing pharmacy. I’ll be honest, and also have been considering pharmacy as a career option because it seems like a very interesting and rewarding career. This is also another 4-year degree, and requires Grade Point Average (GPA) of 4.0 in order to be eligible for an interview. It’s interesting to note, that that optometry is a 5 year degree (incl first year biomed). I won’t get into the details, as I’m a bit fuzzy on the details,but from what I’ve seen, it would probably be the 2nd most popular degree that people are gunning for. As always -> Any questions lemme know! p.s Don’t forget Hall applications have opened! I just got offered into University Hall, but I am not sure if its Towers or Apartments. Could you tell me more about the differences between them and which one is more preferred? Hey Dharini! Congrats on making it in! I think you’ve probably made it into University Hall Towers? (not sure though, you might want to email them to re-check). UHT would probably be the more preferred one, just because it’s new. There are no differences between them (since you share all the same facilities) except for just the room location and the people on your floor (you have 10-20 more people on your floor in towers). Otherwise, you’re in the same location and you attend the same events etc. 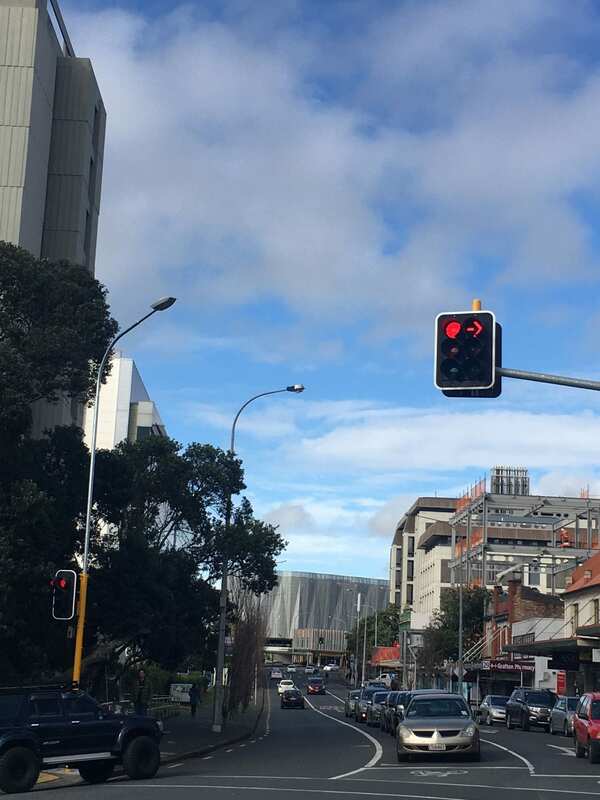 Hi, if you have done first year health science at Otago, are you able to get into optometry or medical imaging? I think so, on the website it does say you can go through this entry pathway. However, best to contact FMHS student centre! Is Health Science more assignment based compared to Biomed which is more test based? I am looking into studying Health Science next year with the hopes of going into Pharmacy in the second year. I just wanted to know what have you found the most challenging about the 1st year in Health Science and also any specific papers you may have found hard? and Also do you always have to constantly study or are you able to have a social life and afford to go out with your friends ? Hello! I think personally, the most challenging thing about 1st year is just having continuous motivation to actually study. What you’re learning isn’t that difficult to understand and comprehend (and every paper has around the same difficulty, it’s more about what you’re interested in). Personally, I try to balance a social life and study, but it’s pretty normal to be more studious and study constantly in first year (a lot of my friends spend 70% of their time studying, although there isn’t really any need to study till 2am in the morning).